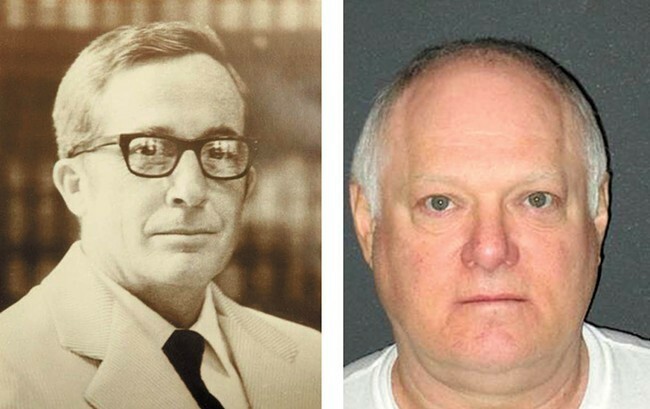 The absence of DNA evidence is not enough to exonerate a man convicted of murdering a Franklin County judge in 1974. Neither is the presence of someone else's DNA enough to absolve the man whose fingerprint was found on bits of packaging containing the pipe bomb sent to Judge James J. Lawless' chambers, according to Benton-Franklin Superior Court Judge Jackie Shea Brown. Shea Brown's decision in the decades-old case comes after a request from the Seattle-based legal clinic Innocence Project Northwest to test several pieces of evidence for DNA in the hope that it would clear Ricky Anthony Young of Lawless' murder. Lawless died in his Pasco, Washington, chambers after opening a package wrapped in brown paper, triggering the bomb. The package was address specifically to Lawless. Inscribed next to his name was the word "personal." Young was given a life sentence with the possibility of parole. His earliest possible release date is 2031. Leading up to the pipe bomb murder, Lawless and Young had crossed paths before. A 19-year-old Young appeared before the judge on a burglary charge in 1971. Young faced 15 years in prison, but Lawless offered him a deal that knocked his sentence down to a year in jail and five more on probation. After his release, Young was again a suspect of arson and drug crimes in 1974. Lawless was to decide on Young's probation violation just days before the package arrived in his chambers. Since his conviction, Young has maintained his innocence — that is, until 1994, when he confessed to his involvement in the crime. In an affidavit, Young wrote that he helped build part of the bomb, but had no role in the final assembly or mailing the package. Young also identified co-conspirators, but he is still the only person to be charged in the judge's murder. It was Young's written confession that Shea Brown cited in her decision to deny DNA testing. "The court finds this affidavit to be key, credible and persuasive evidence of the defendant's guilt," Shea Brown wrote in a letter to Young's attorneys. The Inlander wrote about Young's quest to exonerate himself last year. Afterward, Young sent us a letter saying that confession was "a total fabrication," and a ploy to get a face-to-face conversation with the Franklin County prosecutor. Attorneys for the Innocence Project Northwest did not immediately respond to a request for comment.